Tikkeltje saai, maar goed geacteerd. A strange, meandering narrative buoyed by an excellent performance by NP and a great soundtrack. Aug 24, 2018 Iulius E. S.
The film looks and sounds beautiful, in all of its stone cold somberness. Portman is something else, but I failed to feel anything to connect to. Well made and acted, but, ultimately, difficult to access. Jackie is interesting, to say the least. You will be transported into a whole different world watching it. Which is probably one of it's sellingpoints. 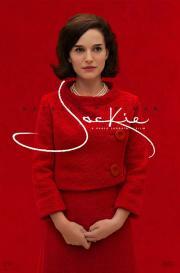 I have my doubts about the portrayal of Jackie O., but I thought Portman does a really good job. Eventhough the accent is pretty annoying at times. 56/100.